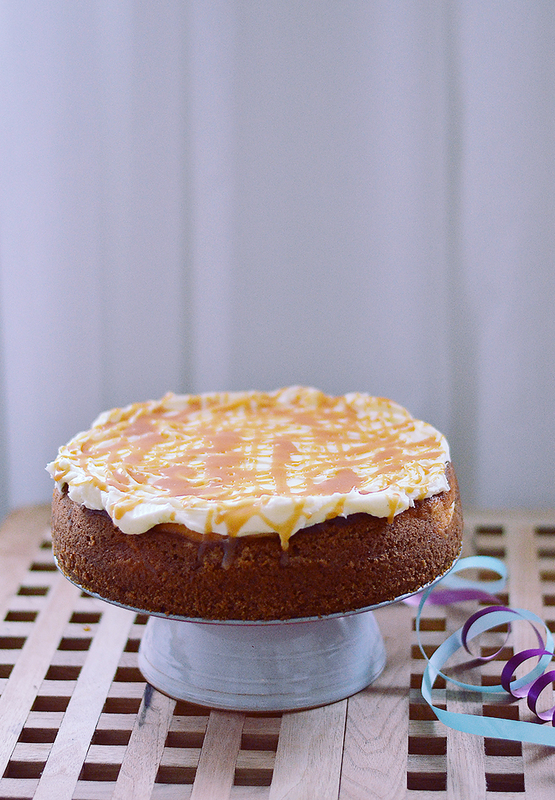 The very first thing I ever baked for Tom was a carrot cake cheesecake, which is why this cake has got a sort of sentimental value to me. Therefore, I felt it would be the perfect birthday cake for Tom, with a couple of fan-freakin’-tastic tweaks of course. 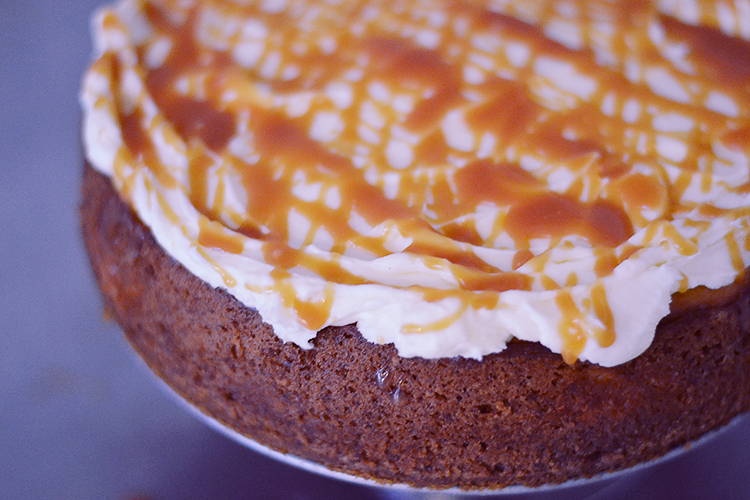 Namely the addition of an orange gingerbread crust and home made caramel sauce. 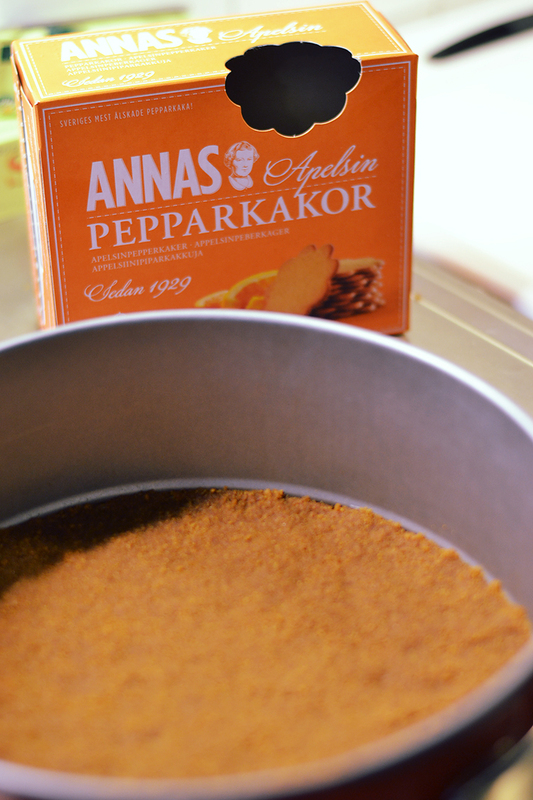 I used orange flavored Anna’s pepparkakor (ginger snaps) for the crust. If you can’t get these then just add a bit of orange juice and zest when you blend the cookies in the food processor. Mix up the cheesecake batter. 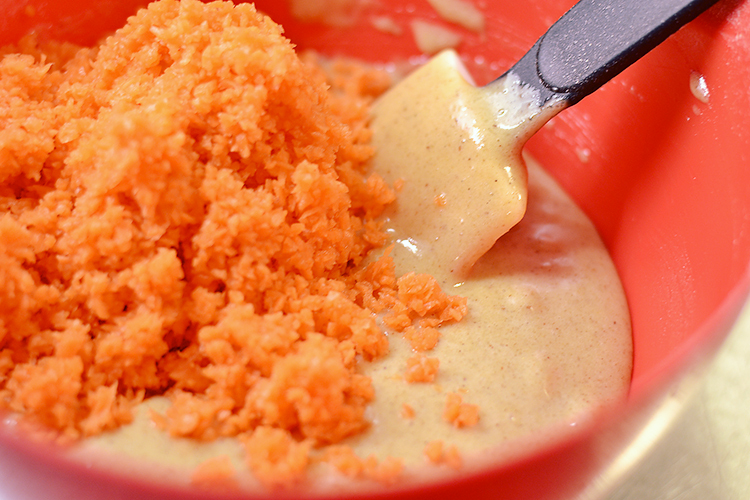 In a separate bowl, make your carrot cake batter. Top your gingerbread crust with half of the carrot cake batter, then dollop half of the cheesecake batter. 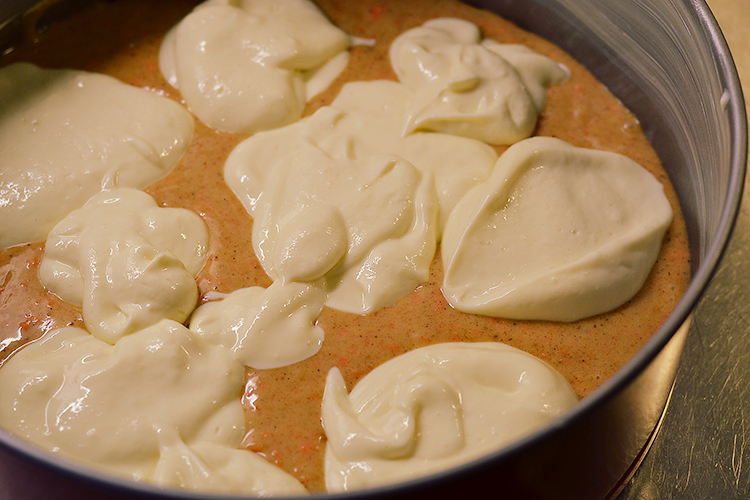 Add the rest of the carrot cake batter, and then top with the remaining half of the cheesecake batter. Out of the oven and chilled, top with cream cheese frosting, flavored with lemon juice. And drizzle with the home made caramel sauce. Divine! 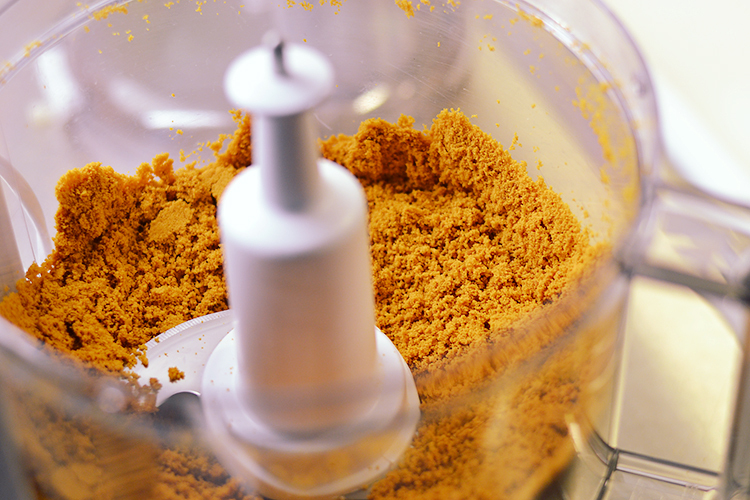 For the crust: mix the ginger snaps to crumbs in a food processor, add the melted butter and pulse until combined. Press out the crumbs on the bottom of a springform pan and set aside in the fridge while you prepare the rest of the cake. 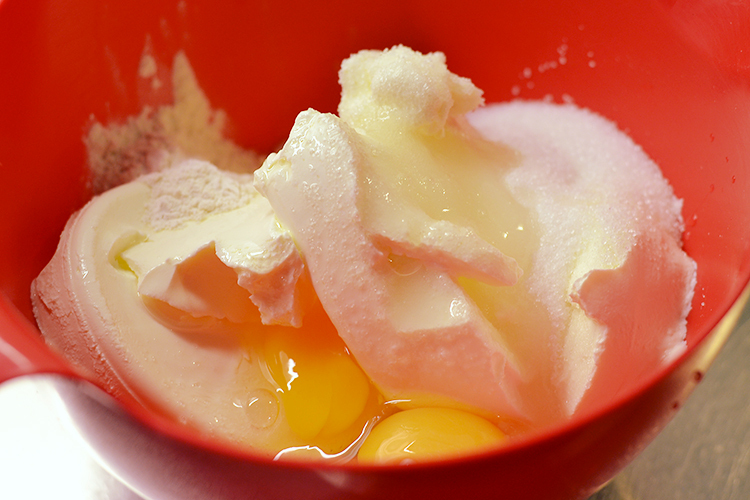 For the cheesecake: mix together the cream cheese, sugar, eggs, flour and vanilla extract until creamy. 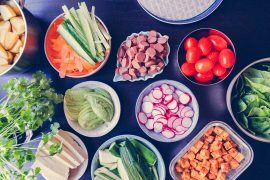 Fold in the sour cream and set aside while you prepare the carrot cake batter. For the carrot cake: mix together the oil, sugars, spices and vanilla extract until combined. Add the eggs and beat at high speed until light and creamy. Sift the flour, baking soda and salt and carefully mix using a spatula. Last, mix in the grated carrots using a spatula. Preheat the oven to 176 C / 350 F. Pour half of the carrot cake batter onto the chilled gingerbread crust, then dollop half of the cream cheese batter on top. Add the remaining half of the carrot cake batter and top with the remaning half of the cheesecake batter. Smooth the top of the cake out with a spatula and tap the springform on a counter a couple of times to remove any air bubbles. Bake in the oven for about 60 – 70 minutes, keeping an eye on it so it doesn’t brown too much on the top. If it does, remove from the oven and cover the cake pan with tinfoil for the remaining baking time. 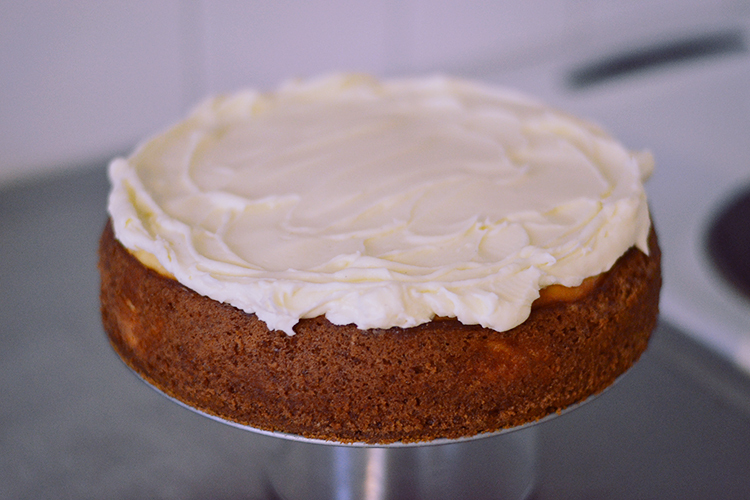 The cake is done when it’s slightly golden around the edges and just setting at the top centre of the cake. Allow the cake to cool completely in room temperature, then refrigerate for a couple of hours before frosting the cake. For the cream cheese frosting: cream together the butter, powdered sugar, vanilla extract, lemon juice and cream cheese. Set aside in the fridge until the cake is ready to be frosted. For the caramel sauce: In a saucepan, combine the sugar and water and place over medium high heat. Once the sugar has dissolved, allow to bubble for a couple of minutes until the sauce turns golden (about 5-8 minutes). Remove from the heat and carefully pour in the cream, stirring as you go. Add the butter and stir until melted. Pour into a heat proof jug and allow to cool. 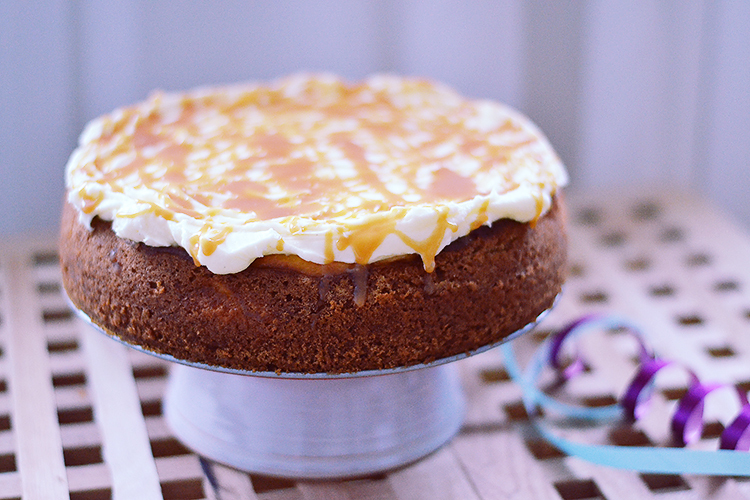 To assemble the cake: frost the top (and sides, if you prefer) of the cake with cream cheese frosting and then drizzle the caramel sauce in a criss cross pattern (or in any other pattern you prefer) across the top of the cake. 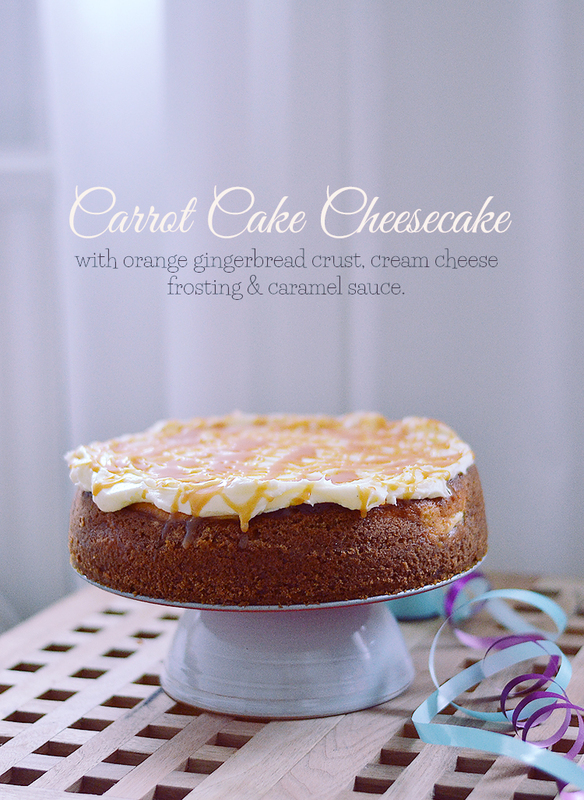 Carrot Cake Cheesecake recipe adapted from Mel’s Kitchen Cafe.